Still Here! Knitting along... and Spinning too! 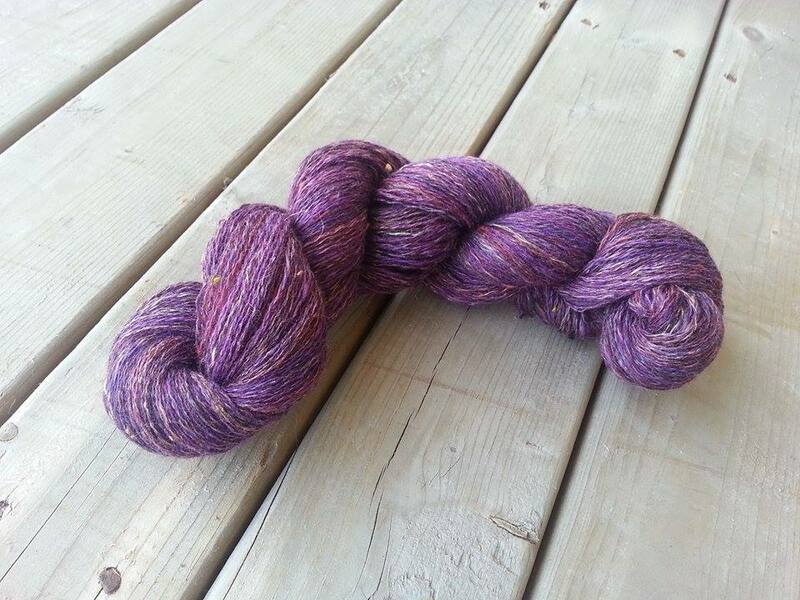 My Inglenook Purple Heartwood Batt is now mostly yarn, which has started to become a shawl! Here is the plying... Yes, on a spindle. I know a lot of people prefer to do the plying via wheel because it's a bit faster... but I like doing my plying by spindle. 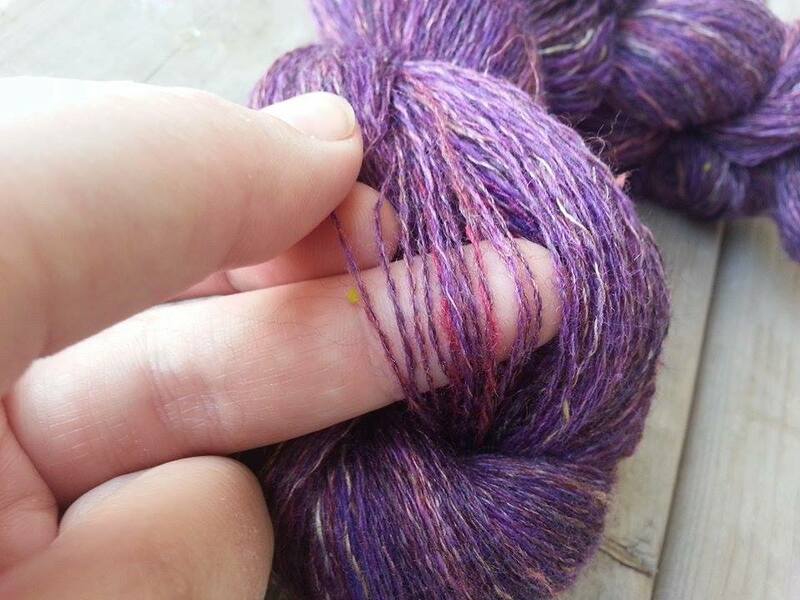 I find it a little too easy to overply my laceweight and cobweb yarns. It's like my feet pumping just get the better of me, and I go too far. When I ply on a spindle I have a chance to feel the balance of each armslength, and this seems to do a better job for me. I don't really find it takes a lot longer than my wheel either... my Traveller has crappy speed ratios. I think if I planned to do much fine spinning with it again I'd have to by a lace flyer kit. In my dreams I'd have a high-speed high-ratio wheel. 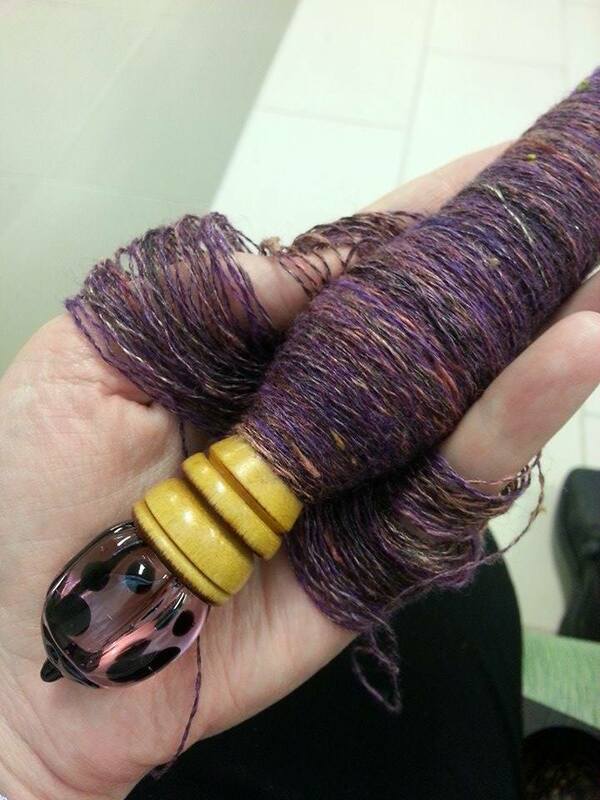 So the first two ounce portion worked out to be 525 yards... with another 2 ounces to be completed. The weight is somewhere between lace and cobweb, so light lacey-ish. I decided that since I'm going to have around 1000 yards of completed thread... I want to make something really cozy, lacy, and big. A nice big triangular shawl to wrap myself in sounded like just the thing! I've been eyeing Dee O'Keefe's Patterns for a while now. They're lovely, just the right amount of complex, and have that great balance of body, borders, and edgings that makes my heart beat a little faster. I've just completed the first few section... following the custom design-your-own section at the back of the pattern so as to increase the size and use up all of this lovely yarn. 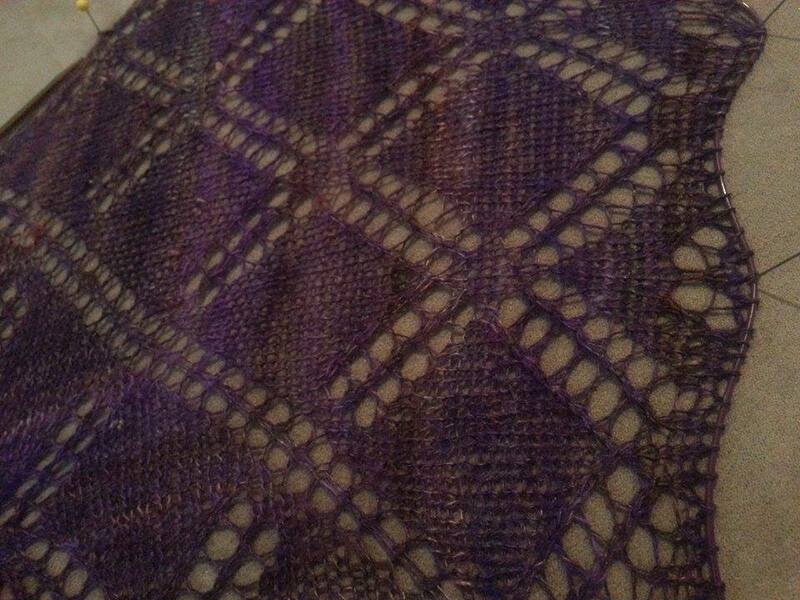 I'll put more details in when I post about the shawl later on. Here is a sneak peek though! Thanks for another great article. The place else may anyone get that type of info in such an ideal means of writing? I've a presentation subsequent week, and I'm on the look for such info. ???? ??? ?????? ?????? ?? ???? ???? ???? ?????? ??? ???? ??????? ?? ?????? ?????? ????? ????? ?????? ??????? ????? ???? ?? ????? ??? ???? ???? ??? ??????? ???? ???????? ??????? ????????? ??????? ???????? ???????? ??? ????? ????? ?? ???? ????? ?? ???? ??????? ???? ?????? ????? ?